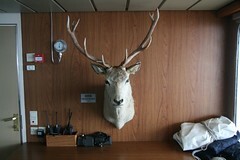 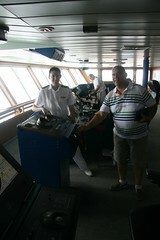 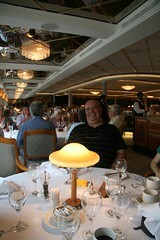 Here’s some photos from our recent cruise on Oriana. 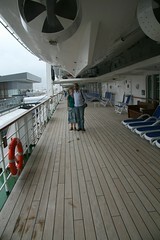 She’s a lovely ship, a little bit older than but very similar to Aurora. 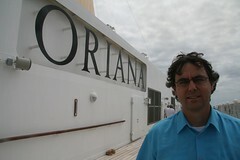 The design improvements between Oriana and Aurora are noticeable, but they’re both very classy ships. 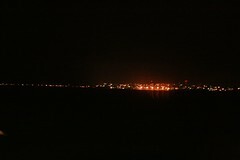 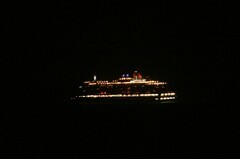 Queen Victoria (at night) as seen from Oriana, off the Sunshine Coast, Qld. 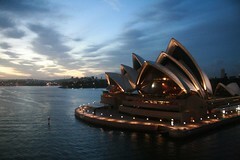 Sydney Opera House (at dawn) as seen from Oriana just before we disembarked. Next Next post: "My name is legion, for we are many"